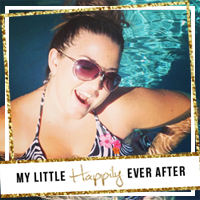 I have become a very big fan of Kristen Ashley and each book gets better and better! The books in the Chaos series are no exception and I can't wait for the next one three to come out! That's right, on her website she's promised three more books in the series and I just get so giddy whenever I think about the members of the Chaos Motorcycle Club. Walk Through Fire is about High (Logan) and Millie who were in love at a very young age. They were the couple every one knew would make it, until one day Millie told High she couldn't be with him anymore. Instead of fighting for her, he took off and made a life for himself. A life that included a wife, now ex and two daughters. Millie continued to live her life, but it was more of an existence until one day she sees him in a local restaurant and becomes intrigued. She starts visiting all of their old stomping grounds and eventually corners him at a bike rally. I loved how they both fought it for so long and although I really didn't like how rough High was with her in the beginning, he redeemed himself once their relationship actually started and became something else. You do find out why Millie left, but it was definitely not what I was thinking so I'm always curious to find out what others thought the real reason was. She eventually meets his little girls and the most annoying thing to me about this book was his spoiled little princess. What a brat! 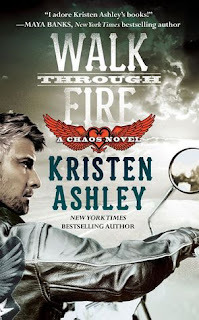 This gave me everything a Kristen Ashley motorcycle book has given me in the past and more because it was a reconnected romance. Since they had a very long history and were so comfortable with each other once upon a time, as a reader we really got to see a deep relationship because they already had the foundation they were just building a different house on it. Don't worry, you can get all caught up in the series before the next book comes out and I'll make sure to let you know what it does! 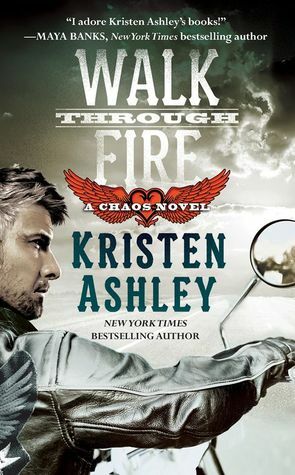 I was provided with a copy of Walk Through Fire in exchange for my honest review. This book sounds good too!!! I will have to add this to my ever growing list, no thanks to you! haha! I am reading accelerate right now. It has a car racing/stealing theme. 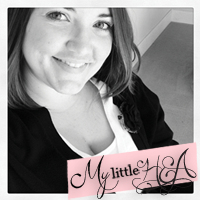 I am loving it! I need to start from the beginning these all sound so good.